Are you looking for change in your life? A greater level of wellness or peace? Hi my name is Linda Lang. When I was in my early twenties, I hit a brick wall that turned my life upside down. I knew I needed some serious changes to happen. Even though I was really scared. My life depended on it! In my search for wellness, I stepped out of my comfort zone to explore all kinds of alternative techniques. And I was able to heal my body. But then it was time to work on healing my mind and spirit. Now I am a gifted facilitator, assisting others on their journey of healing and self discovery. I offer a wide range of alternative and holistic services to help you find your way… so you don’t have to do it the hard way like I did! Living Water Healing sessions are one of the quickest and easiest ways to work with me. You’ll experience the high vibration Diamond Ray, channeled to you personally and in your drinking water. You’ll taste the difference! This energy is intelligent and works on the priority for your highest good. Click HERE for more information. Emotional Alchemy sessions are custom tailored for you and are perfect when you need help to resolve specific emotional issues, shift limiting beliefs, improve performance or achieve your goals. Combining intuitive guidance, energy medicine and change process to help you transform your life. You can find more information HERE. Diamond Health focuses on Health and Wellness. It’s an excellent way to augment your current health regime. You’ll receive 8 weeks of Living Water sessions and emotional clearing to support you on every level. Click HERE for more information. Diamond Ray Alchemy focuses on Enhancing your Gifts and your Spiritual Path, stepping into Self Empowerment in a gentle, yet profound way. This extensive 6 month program is designed to clear out layers of baggage that undermine your ability to live authentically and becoming the best expression of yourself. If you’re looking for transformation, click HERE for more information. 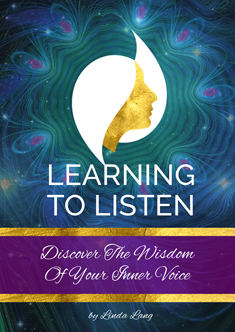 Inner work through hypnosis, past life regression, shamanic journeys or guided processes to help you explore different aspects of yourself to bring more self awareness, heal your spirit, change patterns, connect with your gifts, and bring a greater level of self acceptance. Contact us for more information. Energy medicine can help a wide variety of issues! Because how you think and what you believe is at the foundation of your experience. All those times you were angry, sad or stressed out… all because your thoughts and beliefs triggered your emotions. When think the same thoughts over and over again, day after day, how can we expect things to change? Somehow we do. Einstein would call us insane! But when you can change your perspective, even slightly… everything shifts. Change your mind just a little bit and suddenly you find potential for something new. Are you ready for new possibilities? Healing sessions custom tailored for YOU! Disclaimer: Linda Lang is not a licensed medical professional, but instead offers alternative techniques to assist her clients in personal transformation, health and wellness. Linda does not diagnose or prescribe. Please be responsible for your health; consult your medical or psychological professional for physical and mental health issues.